My pregnant wife and I will be welcoming our first child soon. 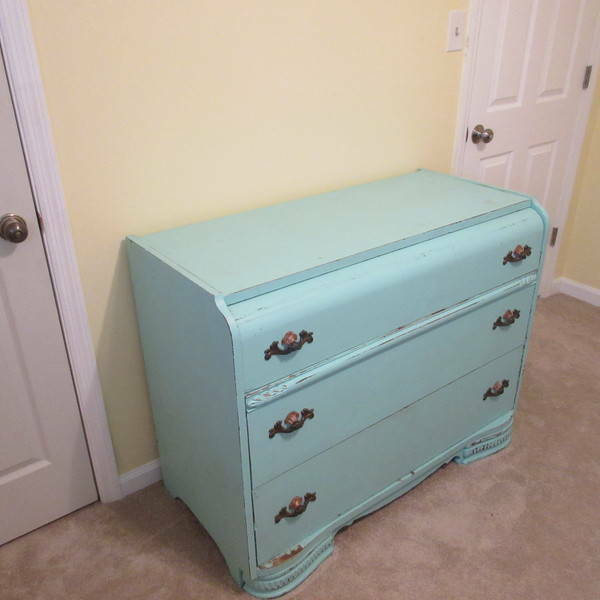 While getting the nursery together, we decided this dresser would be a perfect candidate for it to become a multipurpose piece in the nursery. 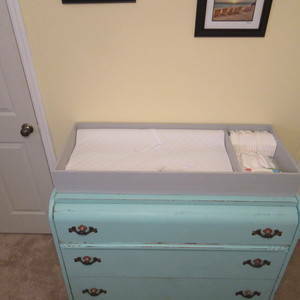 So with some pieces of wood I had leftover from previous projects and a couple new pieces, I got started assembling the diaper changing station. 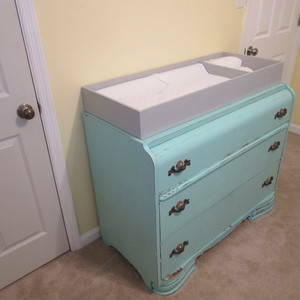 Once assembled the diaper changing station got a couple coats of paint and poly to protect it.